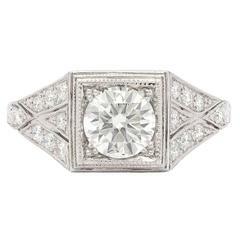 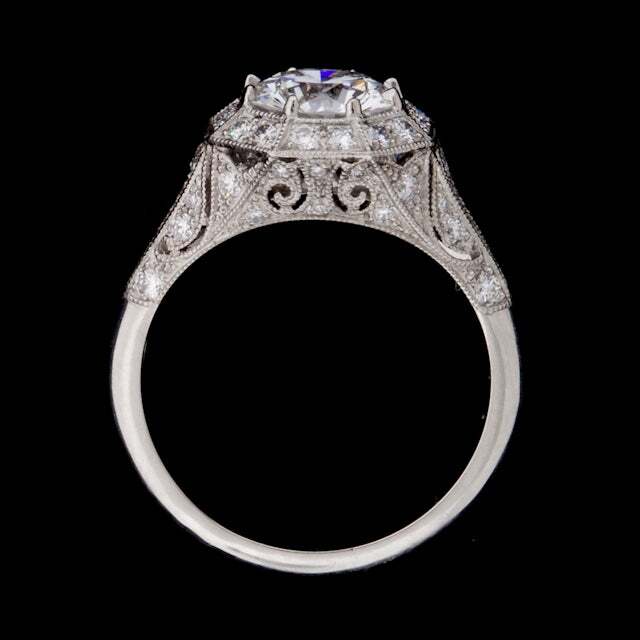 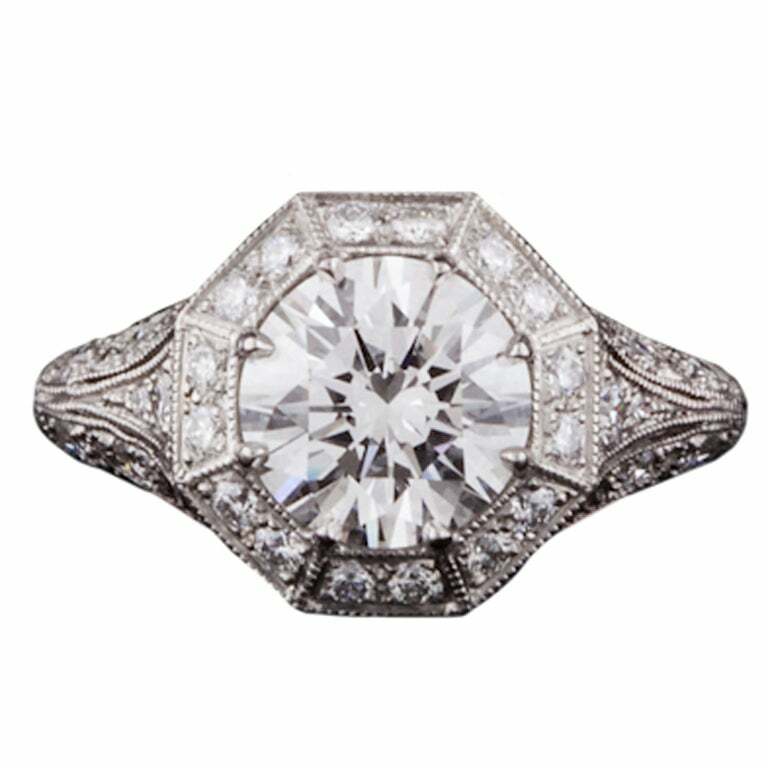 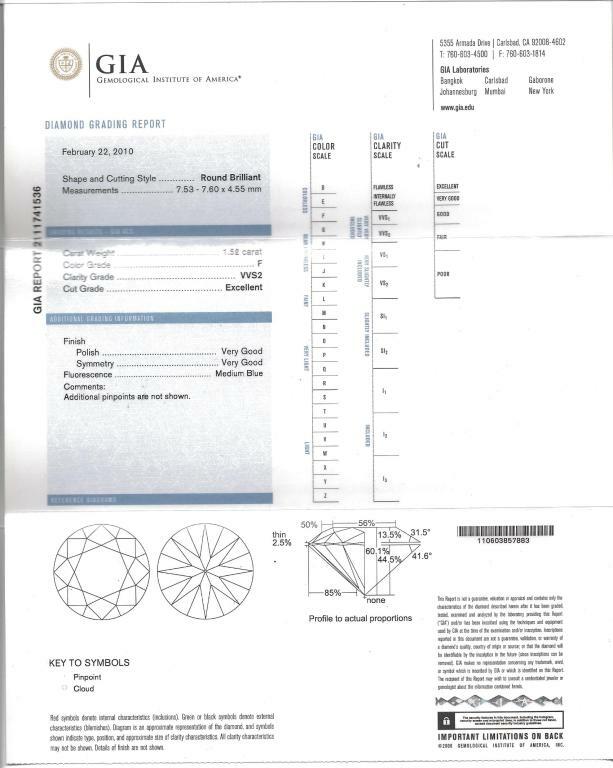 Custom made ring featuring a 1.52ct Round Brilliant Cut diamond, complete with GIA Grading Report for the center stone, accented by an octagonal pave diamond border and diamond accented floral motif platinum ring, mounted with 8 prongs. 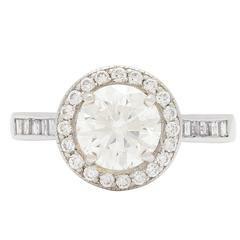 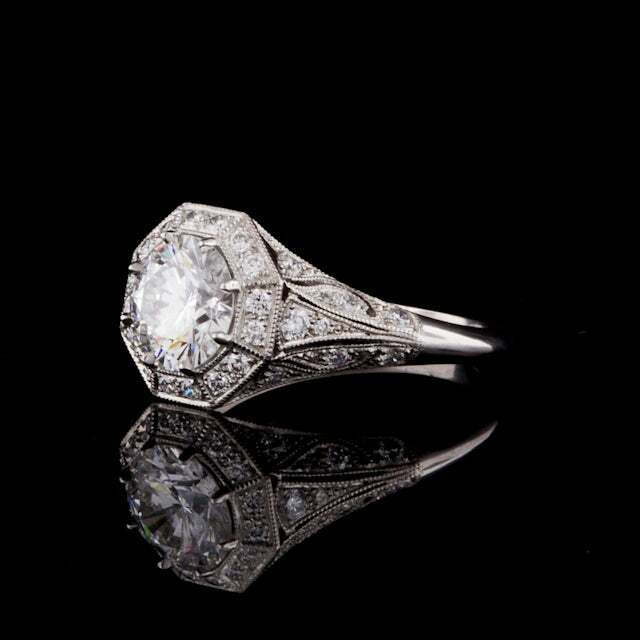 The round accent diamonds, add approximately an additional 0.58ct to this ring. 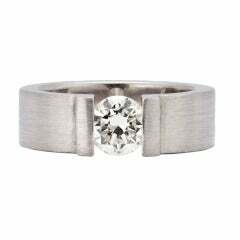 Niessing Ring features a Round Brilliant Cut Diamond for 0.87cts with J/K color and VS clarity, tension mounted in Platinum. 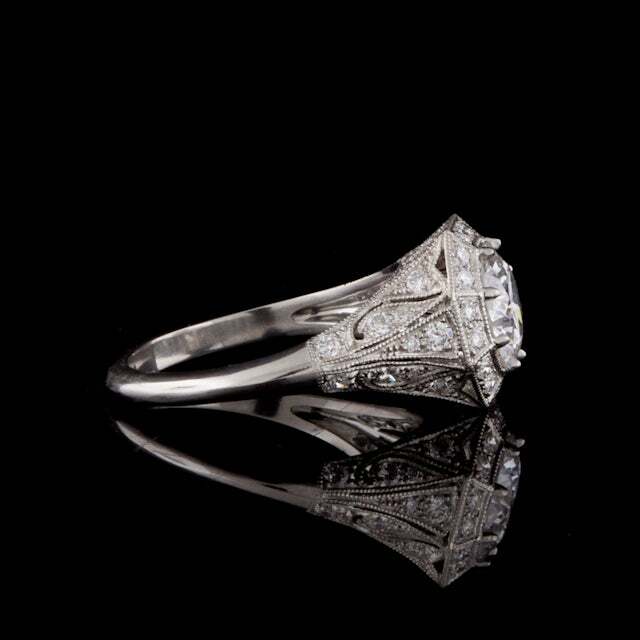 Ring weighs 15.9 grams and is a size 5.5.